I never drink Baileys' at any time of year other than Christmas. But as soon as things start to get festive, I always buy a bottle, and sip it when wrapping presents, watching Christmas films or getting the decorations up. Most of the supermarkets do their own version of Baileys', and Lidl is no exception. But is it any good? 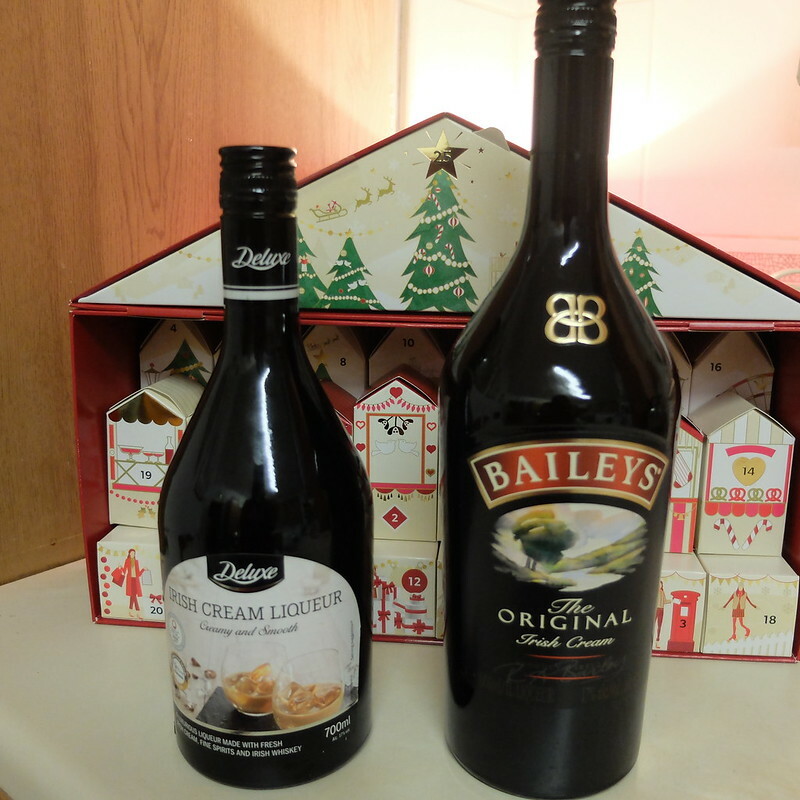 Lidl's Irish cream on the left, and Baileys' on the right. In the interests of research, my husband and I did a blind tasting experiment, and then scored the bottles in four categories. The Baileys' bottle is far more classy. That lovely gold logo looks a bit like the Biba one. I'd happily give a bottle of Baileys' as a gift, but I'm not sure whether the Lidl label design looks a bit cheap to give a bottle as a present. It doesn't say 'luxury' to me, more like something you'd have in your kitchen to sip as you're cooking dinner. For an 'Irish cream' the key ingredients are cream, and Irish whiskey. It's a wonderful combination, but I've found in some own brands I've tried in the past that there's less alcohol and more cream, so that they taste a bit weak. That's not the case here at all. Both the Lidl version and Baileys' have a 17% alcohol content. We tried them both neat, and over ice. And we couldn't tell the difference. We were searching for differences, in creaminess, in flavour. They are even both exactly the same colour. Absolutely impossible to distinguish between them! Lidl's version won silver in the International Wine and Spirits Competition 2015, and gold in the Irish Food Awards 2014. Now here's where it gets a bit complicated. I bought the Lidl version for £6.99 for 70cl (this is equivalent to just under £10 a litre). A 1 litre bottle of Baileys' is usually £12 in the major supermarkets, making it a little more expensive. But hold on - at this time of year, Baileys' is always on offer. I bought a litre for just £10 in my local Asda. So, again they are both the same! It's not an expensive drink at all, it's really great value. Because they are both neck-and-neck so far, I had to think of another category on which to evaluate them. How about the ethics of each company? This is where I failed a bit in my research. Baileys' is produced in Dublin, Ireland. I can't find much else out about it. There is no ethical statement on their website, no mention of the company in the press. Their ethical footprint is invisible. But.... Baileys' is obviously sold at all the major supermarket chains, some of which have been rated poorly on their ethics by Ethical Consumer. Lidl is also rated poorly - only performing above Asda, Iceland and Tesco. The Lidl one is also made in Dublin, Ireland. So, this one has no clear answer. Overall then, I think Baileys' just pips Lidl with its packaging, but if we include ethics then there's no definitive answer sorry! 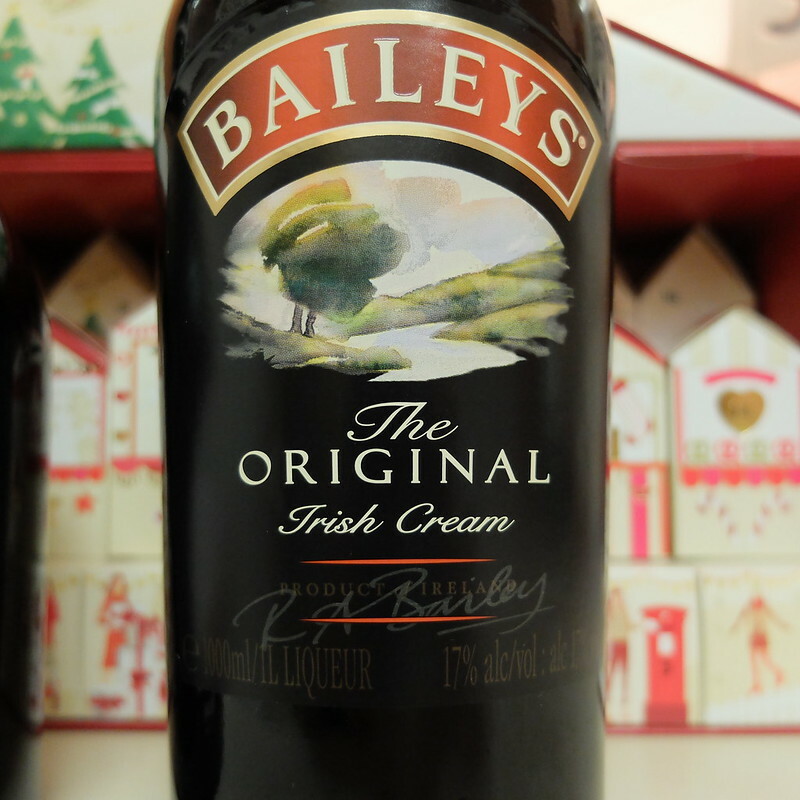 I only drink Bailey's at Christmas too, in fact I have a bottle in the fridge as I type. For a gift I would probably always buy the branded 'real'version. I don't know why. But for myself it doesn't bother me at all about the brands. I am very surprised that the taste test was so similar, I would have expected you to be able to taste a significant difference. Good to know! I'd never bother with Baileys but His Nibs insists on having it while we decorate the Christmas tree, so we get a bottle and then it festers in the drinks cabinet for the rest of the year. 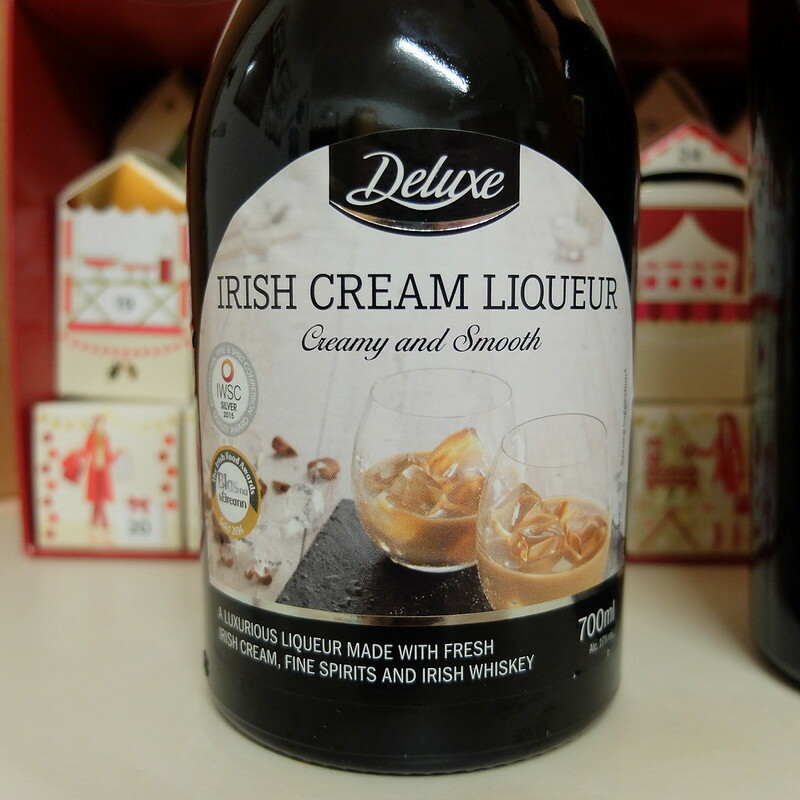 It's a shame the Lidl packaging looks so naff if everything about it is so close to Baileys - anything that has to shout about being deluxe is trying too hard! I would be interested to know how much whiskey each product contains. The alcohol content is largely made up by the addition of 'neutral sprit' (rubbing alcohol if you like) and the percentage of actual whiskey is very small. Unfortunately labelling laws for alcohol are very lax in the UK, so manufacturers can get away with murder.